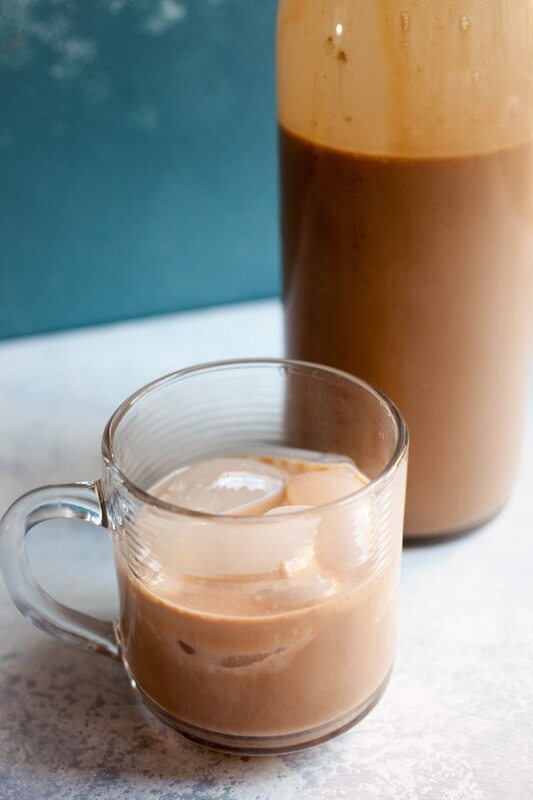 This Homemade Irish Cream Liqueur recipe is so rich, and it makes for a wonderful after-dinner treat. It also stores great in the fridge and makes an excellent gift! It’s basically Homemade Baileys, if you are a fan of that wonderful liqueur. 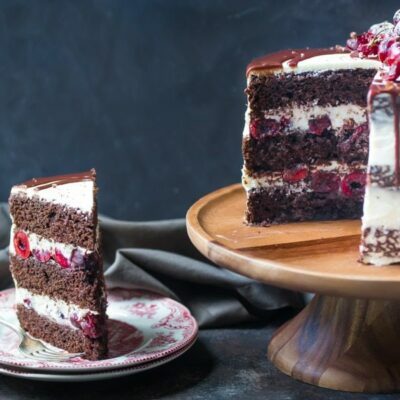 You probably have a bottle in your liqueur cabinet. 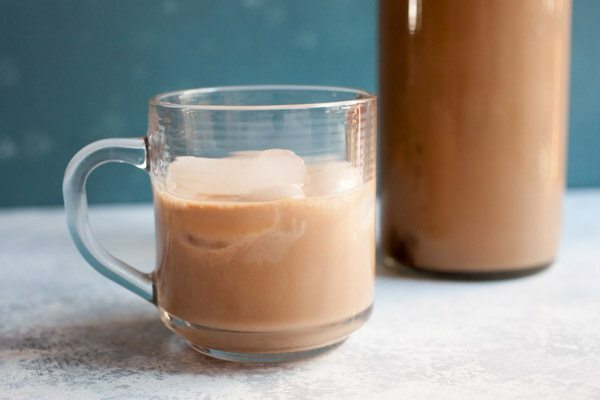 But now you can make Homemade Baileys! I don’t have a huge sweet tooth but I have been known to have a small after dinner drink and sometimes I like that drink to be sweet! 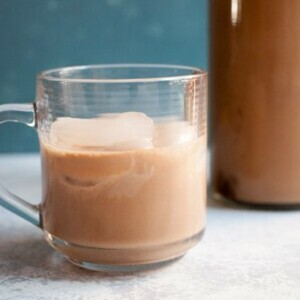 But, I also like whiskey so this homemade Irish cream liqueur is my dream after-dinner cocktail. Plus, you’ll be shocked at how easy it is to put together. Step one in making this Irish Cream Liqueur is just to melt the chocolate! 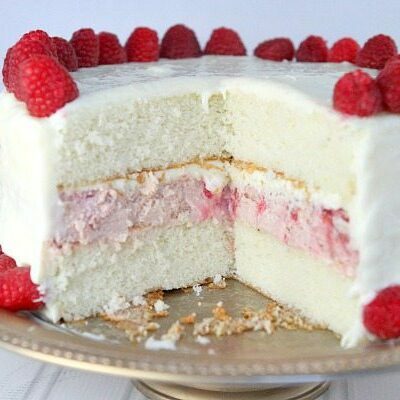 The trick here is to melt it slowly and add a little whiskey to it as it melts to thin it out. I like to use a double boiler for this. Then just stir in the other ingredients. Doesn’t get much easier than that! This stuff should keep great in the fridge for up to a month. Just give it a good shake before serving it. Obviously if it smells “off” at all then you should probably toss it, but the booze will actually keep it stable for longer than normal! 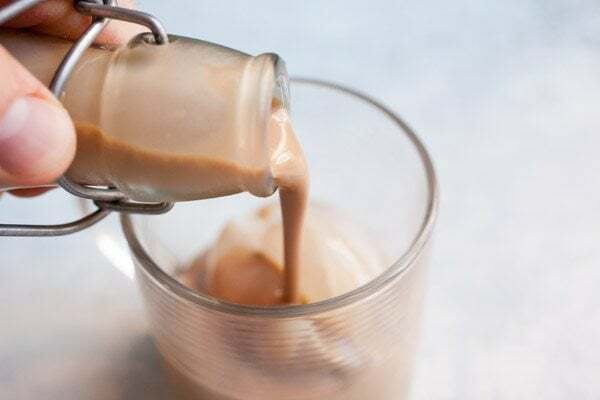 This homemade Baileys Irish Cream Liqueur recipe is easy to make, and it's nice to have on hand for sipping. Yield: Makes about 4 cups. 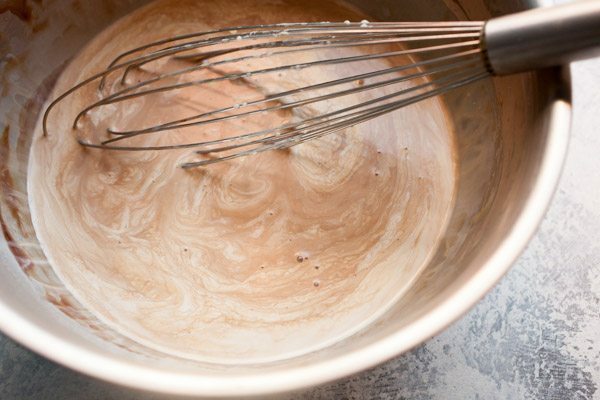 In a double-boiler (I use a metal mixing bowl over a pot of simmering water), combine 1/4 cup whiskey and chocolate. 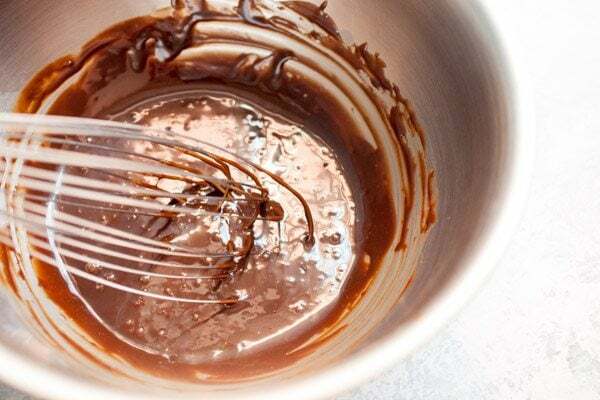 Heat and whisk until chocolate is melted and smooth. 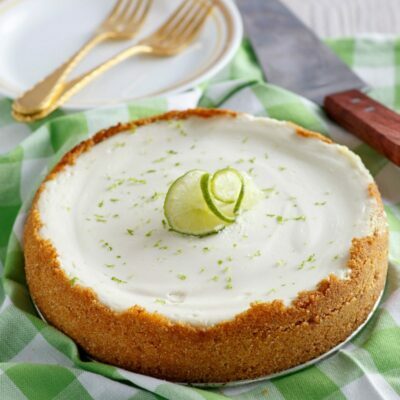 Combine other ingredients in order and whisk until smooth. Transfer mixture to an air-proof storage container and store in the fridge for up to a month.